I have a feeling I won’t be posting many updates over the summer so I thought I’d better get one in quick before the schools break up and the holidays begin. I’m looking forward to spending some quality time with the family but I’m sure I’ll find time to sneak away and make something at some point. 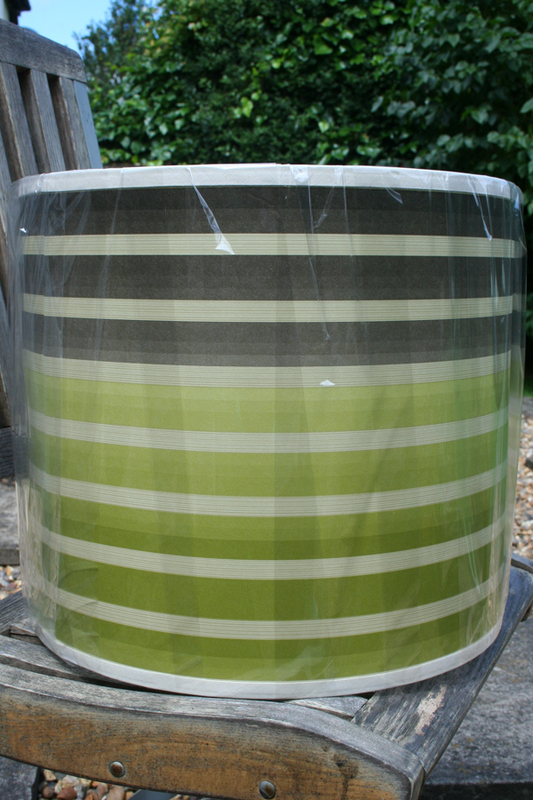 Here are some shots I took at home last week of a lampshade commission for an Interior Designer. I’m hoping to get some photos of it in situ soon so I’ll add those separately. 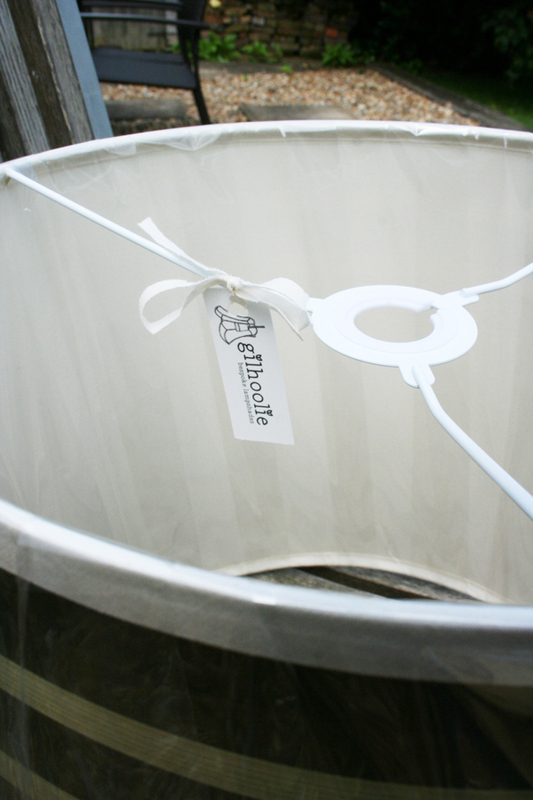 This large lampshade is for a floor lamp; the bottom ring measures 22″. 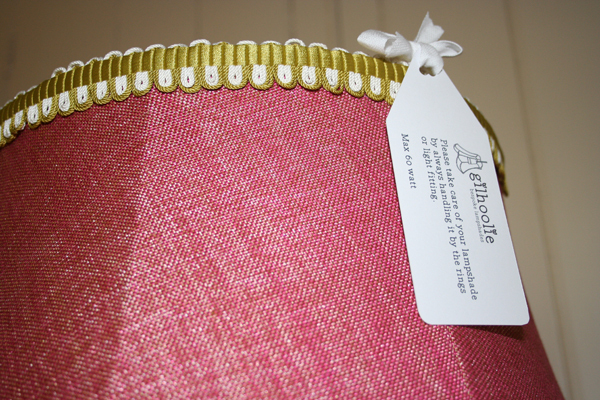 The exterior is a woven plain fabric from Designers Guild called ‘Shima’ in a rose colour. It’s thicker than the dress-making cottons I would usually use so I fitted it on the bias. The interior is a balloon lining in 100% silk. The trim is a looped rouche from Osborne & Little called ‘Kediri’. That was last week… this week has been equally busy, with two birthday parties to organise, along with all the other end of school activities. 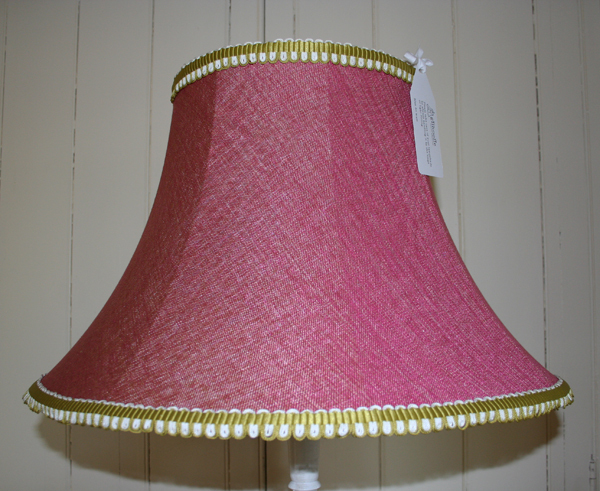 However, in between making a birthday cake and running errands I managed to make this lampshade today for a client. It’s made from wallpaper, with bias binding trim and has a clear backing giving it a translucent quality when lit. Love the wallpaper covered shade – and that you can use a different lining to let more light through.